The night of July 4/5 1944, would be a rough for the men of 419 squadron, the target was the railyards at Villeneuve. Three of the squadron's crews and aircraft would be lost during this operation. KB727, VR-H took off from Middleton St. George at 2151 hours, just shortly after KB718 and before KB723 the other two crews that would be not return that night. In between the first attack and the final blow from the Ju88, the crew of KB727 had a most unusal attacker. In his report filed after his release as prisoner of war, P/O W.R Gibson, rear gunner on Lancaster KB727, mentions the crew's encounter with a Fortess. There was a full moon at 13 minutes to target a Ju-88 attacked from dead astern. At 600 yards I gave the order to corkscrew, opening fire at 300 yards. Mid-upper (Sgt. 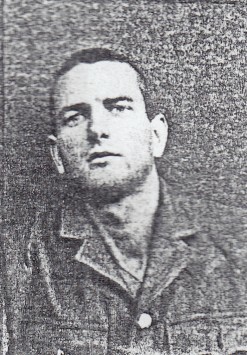 J. T. Pett) also opened fire. Tracer appeared to enter nose and port wing of fighter. Continued firing until Junkers broke away on port quarter down. About three minutes later I saw a Fortress II on our starboard quarter at 800 yards. I noticed that it had a black nose and no turret. As it edged over to a position dead astern at 700 yards, I gave the order to corkscrew and the Fortress followed us through all combat manoeuvres. When I opened fire at 500 yards, tracer entered the nose of the Fortress, which banked at 90 degrees and fell away to the starboard quarter down. After the Fortress incident KB727 was again attacked by a Ju88. This attack would cause the loss of the Lancaster. Over France at about 0130 on the morning of July 5th KB727 was brought down by a night-fighter reported to be a Ju88. This was a second attack by a Ju88 the first happening prior to the Fortress showing up. The second JU88 reportly came in on a head on attack which hit the port inner engine. The engine caught fire and the rest of the bomber was reported to have been shot up badly. The bail out orde was given and all the crew made a successful exit of the stricken aircraft. Bomb Aimer Smith fired off s burst at a Ju88 which appeared to be heading towards the men parachuting down. The Lancaster came down near Chantainvillers, NNE of Chartres . The crew's successfull evacuation of their aircraft was to be followed by a nightmare of terror with an order for their execution. F/S Pett managed to elude capture for three days before he too was caught. His evasion most likely saved him from the fate of the other six men in the crew. The crew were first held in the over crowded Frenes Prison a hiddeous place with even worse conditions, where torture and executions were took place. In August the Stevenson crew, Sgt. W. R. Gibson, WO L.F. Head, F/O James A. Smith, F/O J. E. Prudham and F/O F. S. Vinecombe, and over 160 other Allied airmen were shipped by boxcars made to hold less than half the number of men that were squeezed into the trains cars bound for Buchenwald Concentration Camp. F/O Stevenson somehow managed to escape during the trip, then elluded from his captors eventually making it back to Britain. F/O Smith in an interview many years later described his time at the infamous and deadly Buchenwald Concentration Camp. Smith described it as more of a work camp then a concentration camp. Where the inmates were worked to death and constant executions took place, some times mass executions. Set up as an extermination camp to hold Poles, Slovenes, Freemasons, Jewish prisoners from all over Europe and Soviet Union. There also ther the 168 airmen from Frenes Prison, US, British and British Dominions. There being here was against the Geneva Convention. These airmen were held under charges of being spies, sometimes caught in disguises as civilians supplied by the French underground in an attempt to evade the airmen's capture by the Germans. Some of the airmen were also listed on a death roll as "terror aviators" who would have been ordered executed. Smith mentions that the execution date was set for October 21st., two months off. For some reason not explained Luftwaffe officers visited the camp, one of them was a doctor who found one of Allied airmen in the camp hospital. The Lufwaffe officers then reported to their superior officers that there were a large number of airmen being held at the camp. Their meesage must have gone close to the top of the command chain. October 20th, the day before their planned execution the airmen were removed from Buchenwald and on their way to Luftwaffe POW camps. The men of Stevenson's crew Gibson, Smith, Vinecombe, Prudham and Head were all transferred to Stalag Luft III. 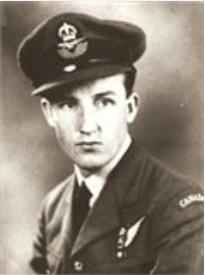 They were not the only 419 squadron crewmen to have been at Buchenwald, Mid-Upper Gunner Sgt. D. High from Lancaster KB718 also was interned there before being transferred to Stalag Luft III. The person responsible for the capture and arrest of these 165 Allied airmen was a Belgian who as a Gestapo double agent working in France had penetrated at least three Resistants groups including the Comet Line which helped Allied airmen escape. During his traitorous actions he was responsible for the arrests of 150 Resistantance members. As well as the being responsible for sending the Allied airmen to Buchenwald Concentration Camp. He was eventually arrested and executed in 1949.